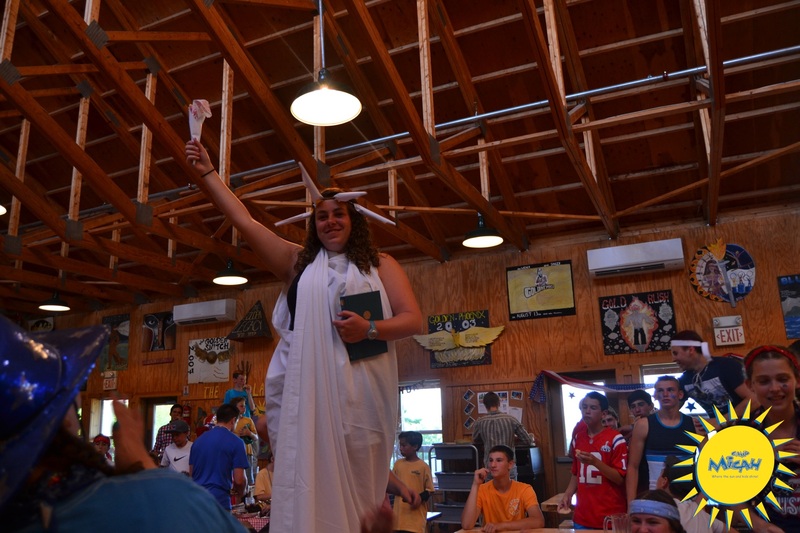 Last night, campers piled into the Dining Hall dressed in their 4th of July best! 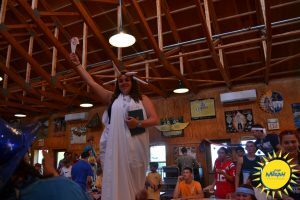 We saw every combination of red, white, and blue t-shirts, headbands, shorts, bandanas, and socks and even enjoyed a special guest appearance from Lady Liberty herself! 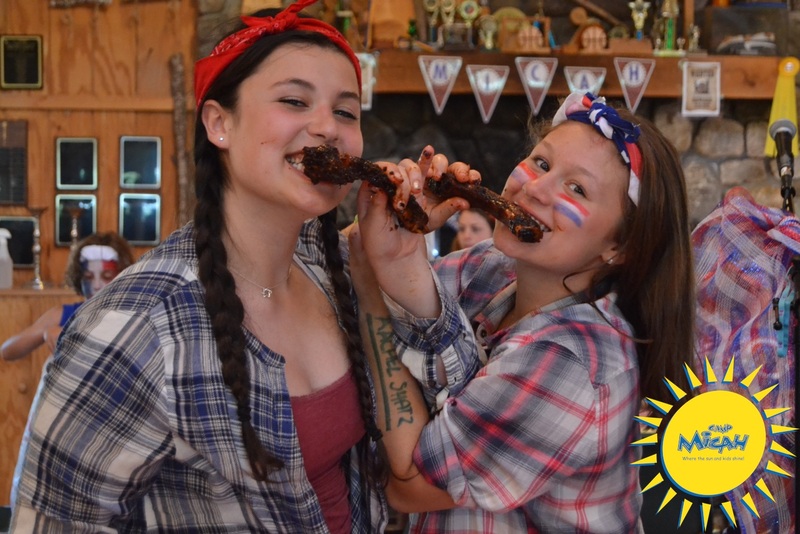 Everyone enjoyed the fun- filled patriotic themed Hoe Down dinner equipped with all the fixings! 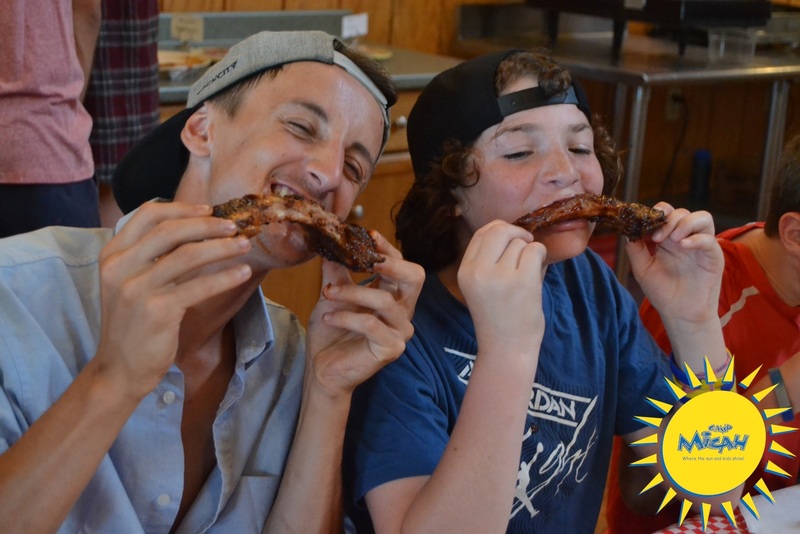 The giant sized ribs, cornbread, fried chicken, and green beans were a BIG and messy hit! Before the meal, Mark shared an inspiring video clip entitled: LOVE HAS NO LABELS challenging us all to think about what it means to be truly patriotic. Throughout the remainder of the meal, campers and staff joined together to sing festive songs about America and freedom. 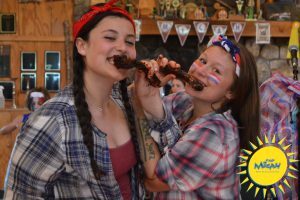 Not to be outdone by the theme dinner, Unit Leaders planned exciting 4th of July inspired activities throughout the evening for campers to enjoy as well. The celebration continues as everyone is eagerly anticipating our upcoming annual 4th of July carnival happening tomorrow. This culminating event of our festive few days is always a camp favorite. 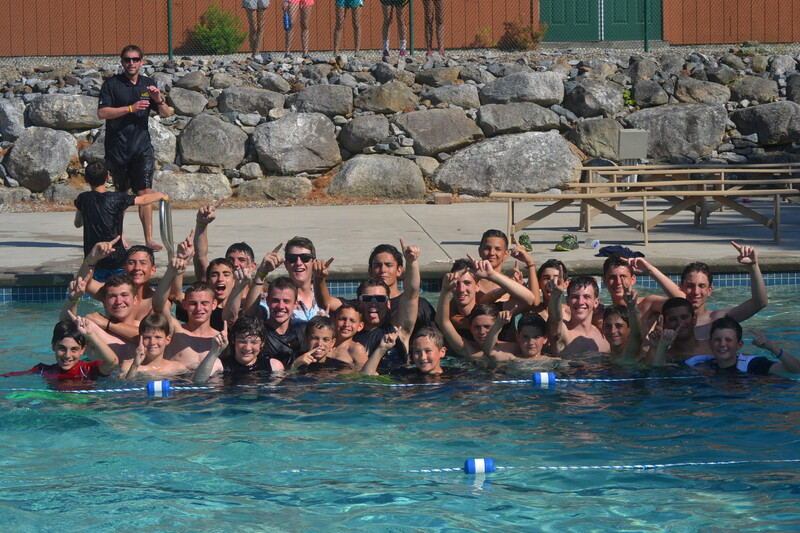 Today, camp was abuzz with inter-camp excitement! We had soccer, basketball, kickball, and hockey competitions happening both here at Micah and away at other local camps. It was exciting to witness campers cheering on and supporting all of the athletes participating in these events. 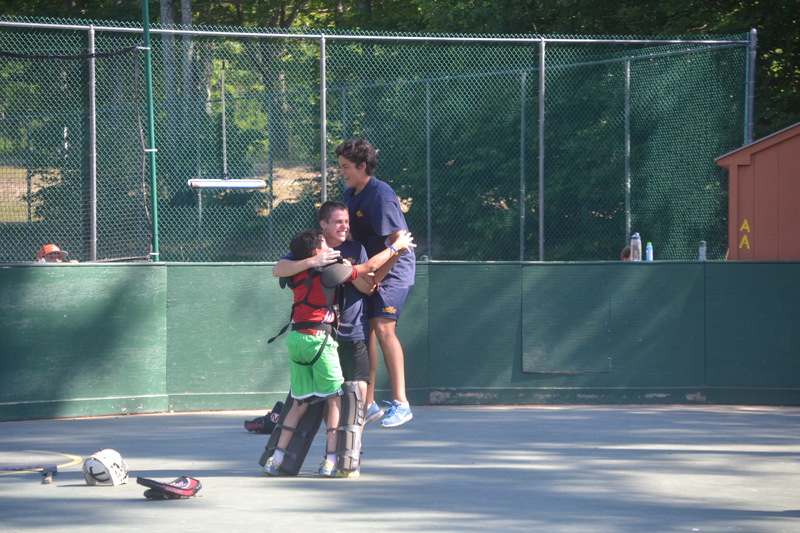 Fun Fact: After five long years, Camp Micah revived its popular street hockey tournament. 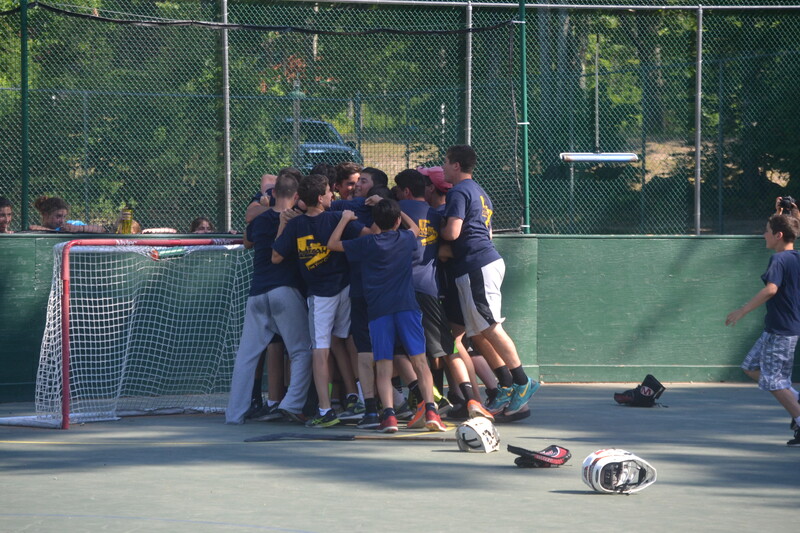 The 15U boys made it to the finals and were victorious against Bridgton Sports Camp with a 3-0 win. Our 11U Boys Kickball team was victorious as well against Camp Wigwam after a four-round tournament. WAY TO GO MICAH! Campers are now off to bed dreaming about the big carnival kicking off after breakfast tomorrow morning. Sweet Dreams!